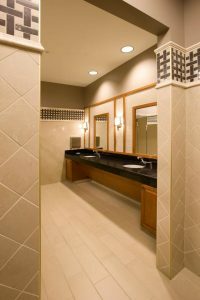 The bathrooms of the new Hopkins County Justice Center in Madisonville, KY feature sophisticated designs using our Empire and Color Blox collections. JKS Architects & Engineers led the project and shared the photos. Look for more images in the Facebook album by clicking here.